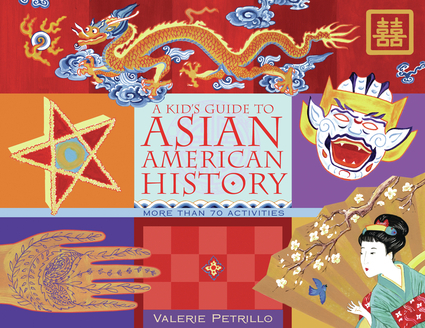 Hands-on activities, games, and crafts introduce children to the diversity of Asian American cultures and teach them about the people, experiences, and events that have shaped Asian American history. This book is broken down into sections covering American descendents from various Asian countries, including China, Japan, Korea, Philippines, India, Vietnam, Laos, and Cambodia. Topics include the history of immigration from Asian countries, important events in U.S. history, sidebars on famous Asian Americans, language lessons, and activities that highlight arts, games, food, clothing, unique celebrations, and folklore. Kids can paint a calligraphy banner, practice Tai Chi, fold an origami dog or cat, build a Japanese rock garden, construct a Korean kite, cook bibingka, and create a chalk rangoli. A time line, glossary, and recommendations for Web sites, books, movies, and museums round out this multicultural guide. 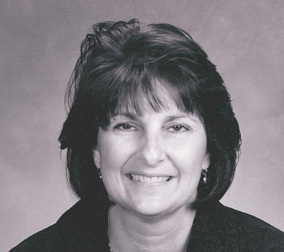 Valerie Petrillo is the author of Sailors, Whalers, Fantastic Sea Voyages: An Activity Guide to North American Sailing Life. Hands-on activities, games, and crafts introduce children to the diversity of Native American cultures and teach them about the people, experiences, and events that have helped shape America, past and present. Nine geographical areas cover a variety of communities such as the Mohawk in the Northeast, Ojibway in the Midwest, Shoshone in the Great Basin, Apache in the Southwest, Yup'ik in Alaska, and Native Hawaiians. Featuring a look at the lives of notable historical and contemporary individuals, including Chief Joseph and Maria Tallchief, this guide also covers a variety of topics, such as first encounters with Europeans, Indian removal, Mohawk skywalkers, and Navajo code talkers. With activities that highlight the arts, games, food, clothing, unique celebrations, language and lifeways of various nations, kids can make Iroquois corn husk dolls, play Washoe stone jacks, design Inupiat sun goggles, or create a Hawaiian Ma'o-hau-hele Bag. A time line, glossary, and recommendations for websites, books, movies, and museums for further study round out this multicultural guide. Dispelling common stereotypes—such as the belief that all Arabs share the same culture, religion, and language, and have only recently begun immigrating to the United States—this exploration provides a contemporary as well as historical look at the people and experiences that have shaped Arab American culture. 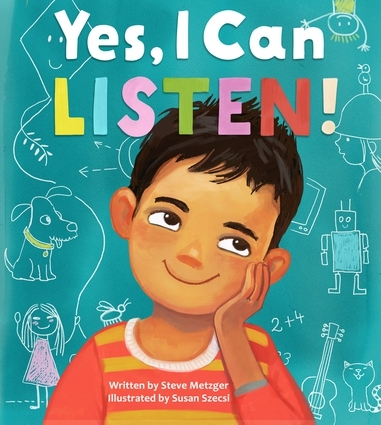 Each chapter focuses on a different group of Arab Americans, including those of Lebanese, Syrian, Palestinian, Jordanian, Egyptian, Iraqi, and Yemeni descent, and features activities that highlight their distinct arts, games, clothing, and food. Kids will love dancing the dabke, constructing a derbekke drum, playing a game of senet, making hummus, creating an arabesque design, and crafting an Egyptian-style cuff bracelet. Along the way they will learn to count in Kurdish, pick up a few Syrian words for family members, learn a Yemeni saying, and learn to speak some Iraqi. Short biographies of notable Arab Americans demonstrate a wide variety of careers and contributions, including actor and philanthropist Danny Thomas, singer Paula Abdul, quarterback Doug Flutie, and activist Ralph Nader. Kids will come away with a better understanding of how Arab Americans have helped build and protect this country and have been part of our fabric as a nation for well over 100 years.